Hold R1 + L1 + Square and press Start at the opening screen. Select two player adventure mode. 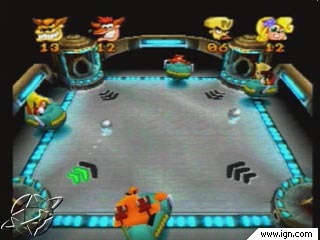 When choosing characters, have player one select Dingo and player two select Cortex. The CPU should pick Coco and Kola Kong. These players are easier to defeat than the others.